The blue lacquer dragon and hand-painted gold-fish reflect the local picture of CLASSIC CHINESE DISHES among Hong Kong families. To make an interesting twist on the collection, CECILIA MA hand-painted local chinglish slangs '賣飛佛' on the bag, 賣飛佛 is a Chinese transliteration of ''My Favorite''. GOD X CECILIA MA collection takes you on a retro and fun journey of local Hong Kong local culture. 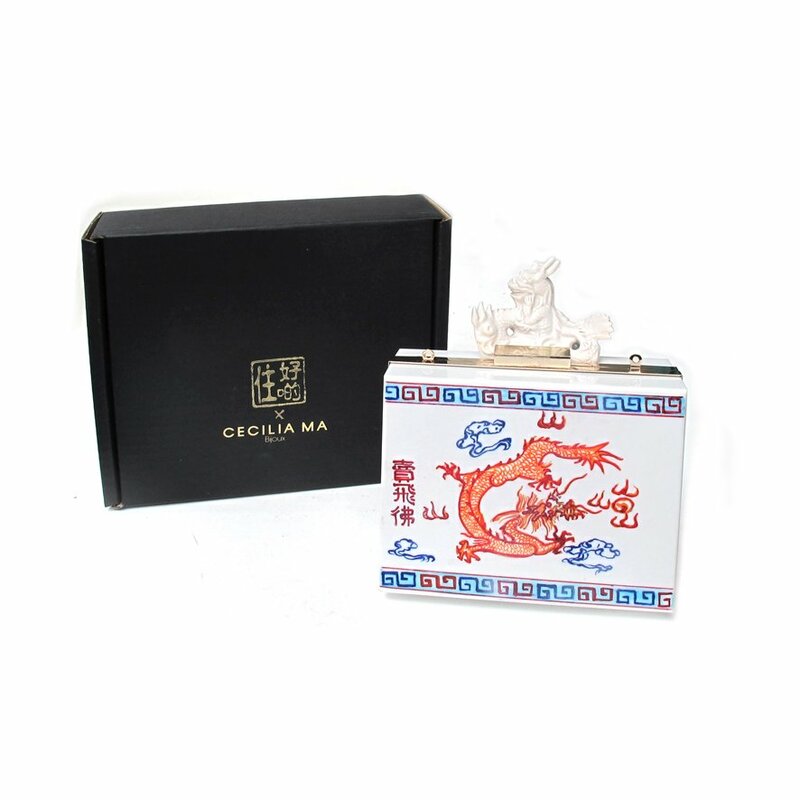 This unique collection of clutch bags, designed by Cecilia Ma exclusively for GOD takes its inspirations from retro Chinese culture. 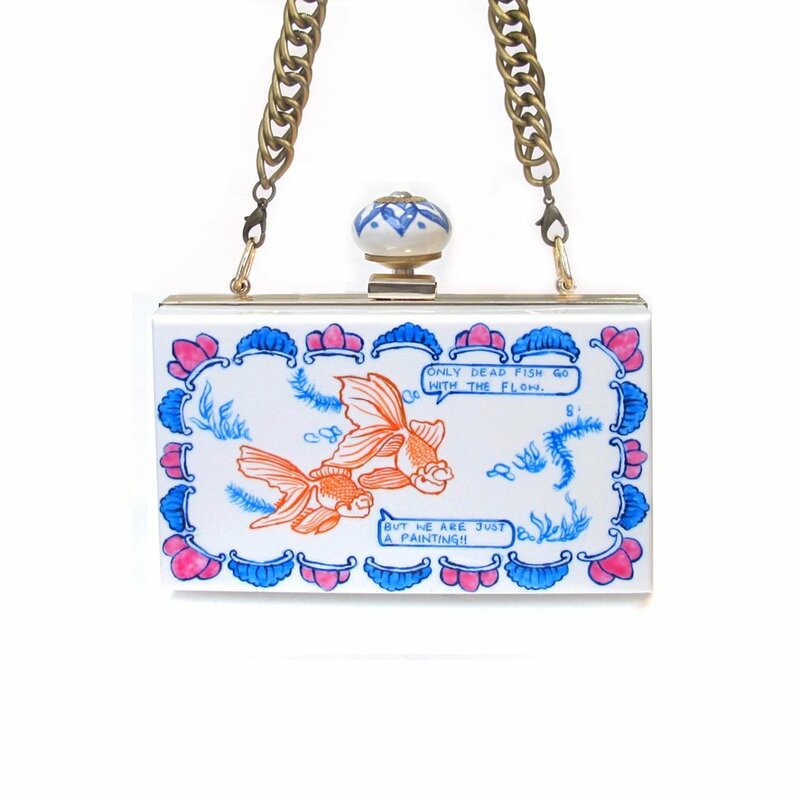 Each clutch is hand-painted and uses a specially designed and crafted clasp such as the water tap. 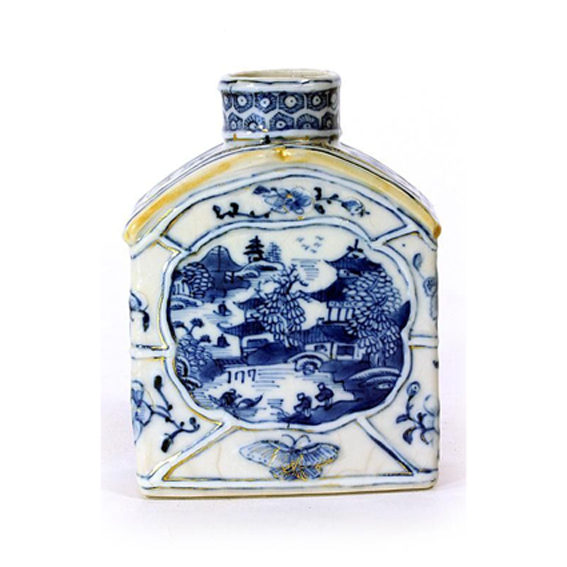 Whether you choose the classic Chinese blue and white porcelain or the slogan from the government’s campaign to reduce water waste, ‘Water is precious’, each of these truly rare bags will bring you back to 1970s Hong Kong.